Today, there is a specialized scale or balance for every job. One of the most useful is the analytical balance. These specialized scales are known for their precision. Their unique design allows for accurate measurements down to a hundredth of a milligram. The design also allows these balances to be used to weigh a number of potentially hazardous materials. Analytical balances are used by a wide range of professionals to complete their daily work load. 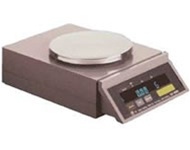 Analytical balances provide weight measurments that are highly precise and very accurate. In fact, many analytical balances provide weights that are accurate to within .01 mg Ð high precision models can provide even more precise results. Because of the high degree of accuracy and reliability, they are popular among those professionals that need to rely on their results. One of the reasons an analytical balance can provide such accurate measurements is the design. Typically a transparent box or enclosure surrounds the weighing pans. This enclosure creates an environment in which no additional forces can compromise the results. They protect the sample from dust, and even air currents that can throw off such a sensitive balance. This same enclosure, along with a vented balance safety unit, uses acrylic airfoils. These allow the consumer to accuratly weigh a sample without the interference of turbulence. In many cases, these same systems can be used to protect the user as they weigh samples that are potentially dangerous or caustic. One downfall of the analytical balance is that the sample being weighed will ideally be at room temperature. If the sample is not, it is possible for air currents to develop inside the enclosure under the principle of natural convection. These air currents can subtly effect the results. While all analytical balances are precise by design, there are a number of these specialized scales with superior performance. When purchasing an analytical balance, the user must carefully determine the degree of error that is acceptable. Differences in materials, workmanship and operation all contribute to the accuracy of the analytical balance. You should prioritize accuracy and price, and find the best combination of the two in an efficient analytical balance. Analytical balances are used by a wide range of professionals. Chemists and pharmacists are just two of the many professionals that can benefit from a precision analytical balance. If accuracy is your most important function, you will likely need a highly advanced balance. This is especially true if air currents or dust can effect your measurements. Examine other needs as well, such as the need for digital readouts, Bluetooth or USB connections, auto tare, and container tare functions. While analytical balances are limited in overall capacity, some applications require weighing heavier loads with excellent accuracy. In these cases, ultra precision scales are available with capacities of up to 500 lb, with resolution as high as one part in 500,000. Surface Acoustic Wave (SAW) scales fill this need at very attractive costs.